The revised limited liability company law that takes effect in March 2013 creates a new statutory structure of fiduciary duties for LLC members and managers. The statutory standards are floor, not a ceiling, and courts are still able to find a duty based on the circumstances at issue. Limited liability companies may alter or amend those duties by statute – or ratify a breach after it has occurred – but not without limits. The new law is a significant improvement over the existing law, which is largely silent on the precise duties owed by members and managers to an LLC. The current law seems to presume that the members will define these duties for themselves; an assumption that in practice is often not true. It also opens the door to business practices that may be oppressive and assumes that all have an equal say in the terms under which an agreement is organized. The new law adopts a “manifestly unreasonable” standard that limits the ability of LLC members to create businesses under contracts that include oppressive provisions. rejects the ultra-contractarian notion that fiduciary within a business organization is merely a set of default rules and seeks instead to balance the virtues of “freedom of contract” against the dangers that inescapably exist when some have power over the interest of others. The current law does not seem to impose any limits on the ability to eliminate or modify fiduciary duties (N.J.S.A. 42:2B-66). We often see special-purpose LLCs in which the relationship of the members is an arms-length contract; they are free to compete and owe no duties of care or loyalty. These agreements will be problematic under the new law because the waiver may be ineffective. Another word of warning that current operators of LLCs should consider is that the definition of operating agreement is much broader under the new law than under current law which provides that an operating agreement, if it exists, must be written. Members can expect that the courts will look at the actual practices of the LLC, not just what has been included in the operating agreement (N.J.S.A 42:2C-2). Under the RULLC, there is no such thing as an LLC without an operating agreement because just about anything can be an operating agreement. It is any agreement – written, oral or implied – that governs any aspect of the LLC’s business. to exercise due care, except to permit intentional misconduct or knowing violation of the law. There are some areas of law that are off limits. The operating agreement may not alter the law applied to the internal affairs of the limited liability company, restrict the court’s power to judicially dissolve the LLC, unreasonably restrict the right of the members to bring an action under the LLC act or to void the veto power of any member over a business combination that would result in that member having personal liability. (b) the term is an unreasonable means to achieve the provision’s objective. There is one perhaps significant distinction between the model act drafted by the National Conference of Commission Uniform State Laws and the act adopted in New Jersey, which is the tip of the hat given to freedom on contract in a rule of construction not found in the model statute. It seems unlikely that a rule of construction is likely to have much affect on the individual application of the manifestly unreasonable standard, but one can see the scales tipped ever so slightly in favor of freedom of contract in a close case. The changes to the law, which will take effect for existing LLCs in 2014, are such that many operating agreements should be reviewed and revised. The new statute is a clear improvement over existing law, but likely will be problematic for LLCs with operating agreements drafted under the existing statute. 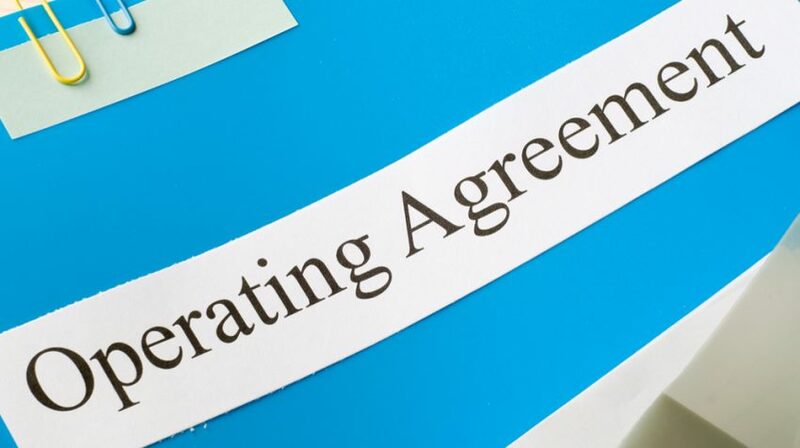 “Operating agreement” means the agreement, whether or not referred to as an operating agreement and whether oral, in a record, implied, or in any combination thereof, of all the members of a limited liability company, including a sole member, concerning the matters described in subsection a. of section 11 of this act. The term includes the agreement as amended or restated. As always, we welcome your questions or comments. (4) the means and conditions for amending the operating agreement. b. To the extent the operating agreement does not otherwise provide for a matter described in subsection a of this section, this act governs the matter. (11) except as otherwise provided in subsection b. of section 13 of this act, restrict the rights under this act of a person other than a member or manager. (5) prescribe the standards by which to measure the performance of the contractual obligation of good faith and fair dealing under subsection d. and subsection g. of section 39 of this act. e. The operating agreement may specify the method by which a specific act or transaction that would otherwise violate the duty of loyalty may be authorized or ratified by one or more disinterested and independent persons after full disclosure of all material facts. f. To the extent the operating agreement of a member-managed limited liability company expressly relieves a member of a responsibility that the member would otherwise have under this act and imposes the responsibility on one or more other members, the operating agreement may, to the benefit of the member that the operating agreement relieves of the responsibility, also eliminate or limit any fiduciary duty that would have pertained to the responsibility. (5) an intentional violation of criminal law. i. This act is to be liberally construed to give the maximum effect to the principle of freedom of contract and to the enforceability of operating agreements. a. This act is to be liberally construed to give the maximum effect to the principle of freedom of contract and to the enforceability of operating agreements. b. To the extent that, at law or in equity, a member or manager has duties (including fiduciary duties) and liabilities relating to a limited liability company or to another member or manager: (1) any member or manager acting under an operating agreement shall not be liable to the limited liability company or to any other member or manager of the limited liability company for the member’s or manager’s good faith reliance on the provisions of the operating agreement; and (2) the member’s or manager’s duties and liabilities may be expanded or restricted by provisions in an operating agreement.